Compressed air is widely used in all areas of modern industry. Compressors are needed everywhere, from tire mounting to oil and gas industry. «Ankom-trans» Ltd. suppies high-quality screw and turbo compressors from well-known European manufacturers. 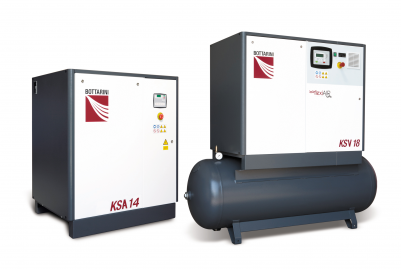 Screw compressors are robust machines that will save valuable time and money. Thanks to its high energy efficiency and ease of maintenance, they have gained a high level of popularity all over the world.